Abstract The Learning Project (LP) examined the lessons learned, results and outcomes of the US Coral Triangle Initiative (US CTI) Support Program. USAID, through the USCTI Support Program Implementing Partners, provided funding to the University of Washington to capture lessons learned from the USAID-funded five-year program. The LP emphasized the contributions of each implementing partner from the US CTI, the symmetry and linkages between mechanisms, and the lessons learned from this ambitious initiative supporting regional ocean governance. Working in partnership with representatives from each of the US CTI implementing partners (the Coral Triangle Support Partnership (CTSP), the National Oceanographic and Atmospheric Administration (NOAA), the Program Integrator (PI)) and the US CTI’s funding agency (the US Agency for International Development (USAID)), the LP created a manageable and effective research effort that identified general patterns occurring within the US CTI that are conditioned by contextual considerations. 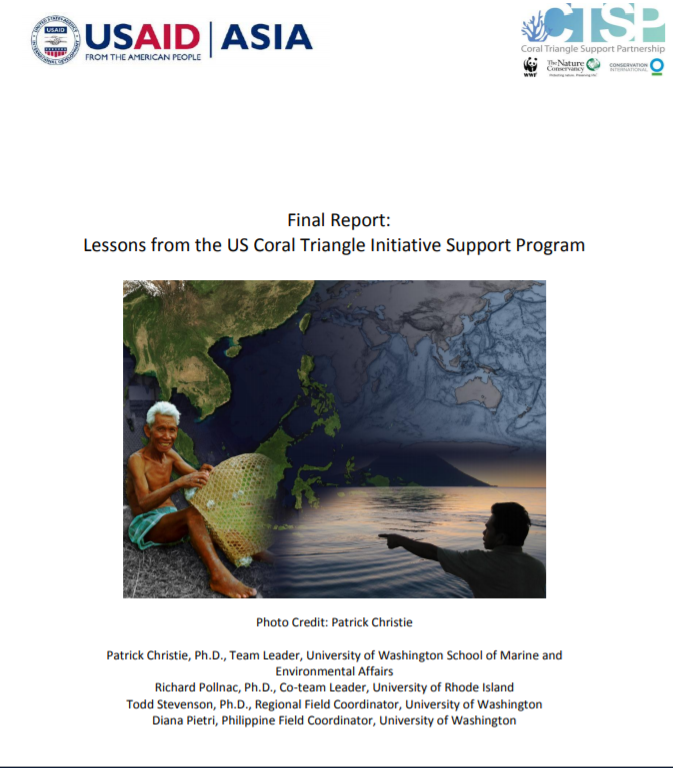 Broader linkages and synergies between the activities of the US CTI implementing partners and the six-nation Coral Triangle Initiative on Coral Reefs, Fisheries, and Food Security (CTI-CFF) were examined to identify the major lessons learned from the US CTI effort.